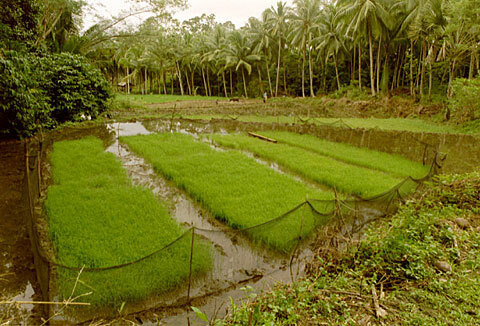 Rice is first grown in so-called nurseries, and when it has grown large enough, it is replanted in the rice fields. Based on the rating of 115 users. This picture has been viewed 53 times.